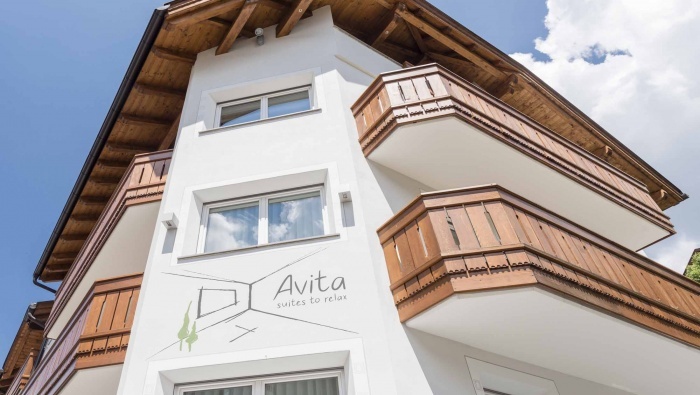 Avita � suites to relax consists in four suites (luxury flats) furnished with particular accuracy and respect to environmental requirements. 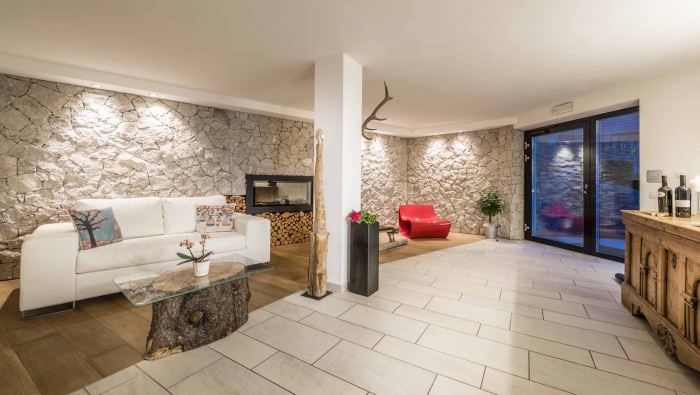 Wood and stone characterise the interior of the suites. Both of these elements can be found in the beautiful nature of Val Gardena. 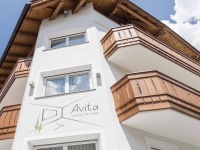 Avita � suites to relax is situated in a restful place in the centre of Ortisei. 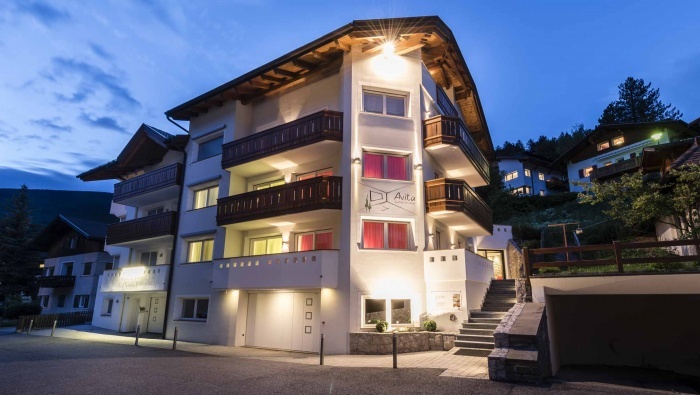 The shopping area as well as the cable car stations of Alpe di Siusi and Seceda can easily be reached on foot. 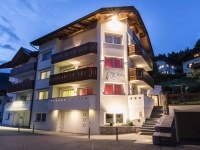 The Suites are luxury flats furnished with all kind of modern comfort. 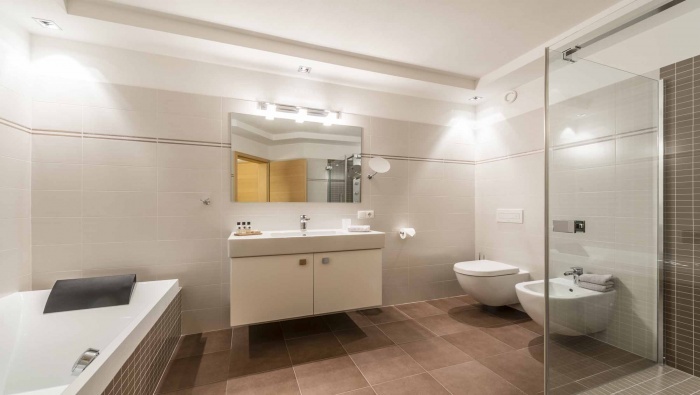 All suites have a controlled aeration system creating a well-being ambience. 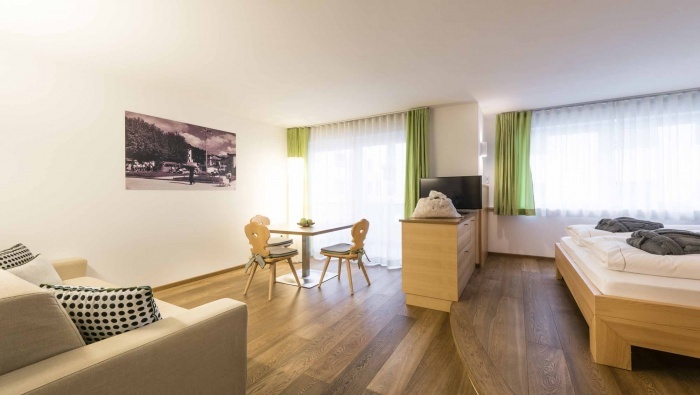 The 45 and 55 square metre suite has got a completely furnished kitchenette, a couch, a bedroom, satelllite TV LCD 40" and/or 32", safe, telephone, a bathroom with WC, bidet, bathing tub and a wonderful �Jacuzzi� shower. A balcony, a car parking place in our garage, all bed sheets as well as the towels are at your disposal. 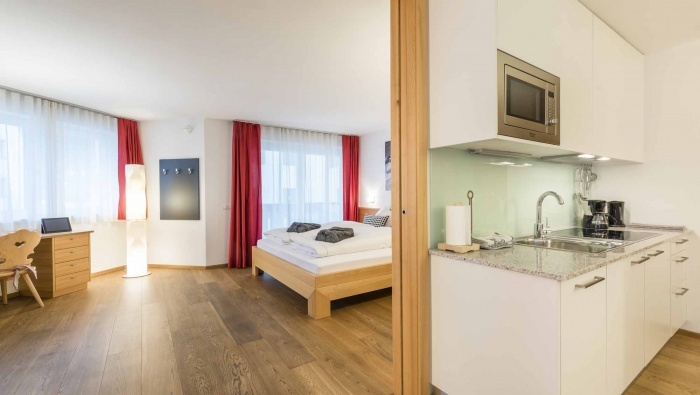 An Internet access in your suite allows direct connection with the web through your notebook.